The Tristimulus Reflection Analyser (TRA) measures the degree of whiteness, debris removal and the hue of the fabric. A microprocessor controls the analyser and calculates the measured values, which are then read out by a computer. The TRA software stores the values ​​and processes them. The analyser is based on the standards for colour measurement, the CIE colour perception curve and conforms to ISO 4312. Want to learn more about the TRA? We will give you a description, specifications and instructions on how to perform a tint measurement. The Tristimulus Reflection Analyzer TRA2000 is a portable instrument for measuring whiteness, stain removal and tristimulus reflection of textile and other materials. The Tristimulus Reflection Analyzer (TRA) is a portable instrument for measuring whiteness, stain removal and tristimulus reflection of textile and other materials. This new version of the TRA can easily be operated, and can be used independent of external power supply. The analyzer is microprocessor driven. This microprocessor calculates the measured values, and can be interfaced with a personal computer. With the TRA software the values can be stored and processed.. 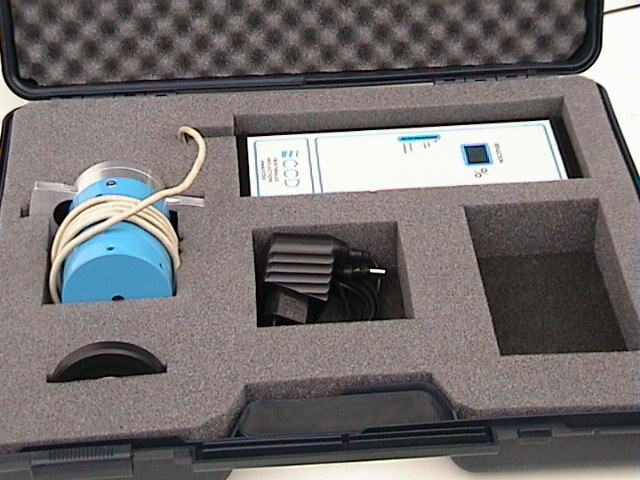 The analyzer consists of an optical sensor unit and an electronic measuring device. 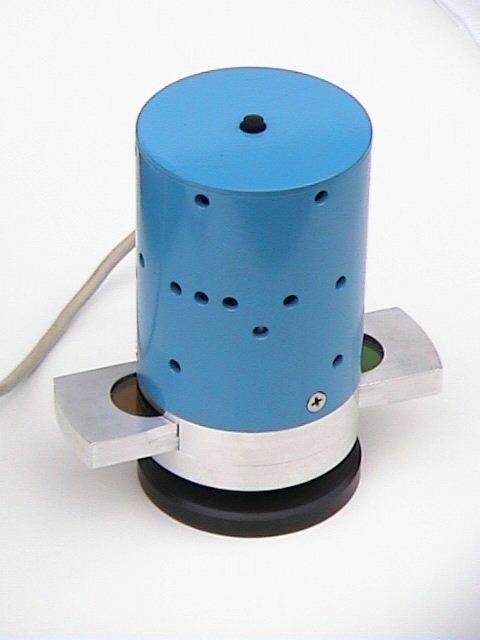 This sensor unit contains a light source which transmits light through a filter on the object to be measured. The object reflects an amount of this light, depending on the properties of the object. This amount is measured and calculated as a percentage (0%= absolute black, 100% = perfect diffuser). The colours (green, blue and amber) are switch able by changing the filters mounted on the sensor unit. The analyzer automatically adapts to the chosen colour. The analyzer is based on the CIE colorimetric functions of the standard observer. It is compliant with standard ISO 4312 and other. This analyzer is specially developed for measuring textile and other non-flat materials. Used in combination with the Industrial Cleaning Monitors, Multi Soil Monitors or other artificially soiled test fabrics developed by Cleaning Consultancy Delft bv., an objective judgement of laundry processes can be made. 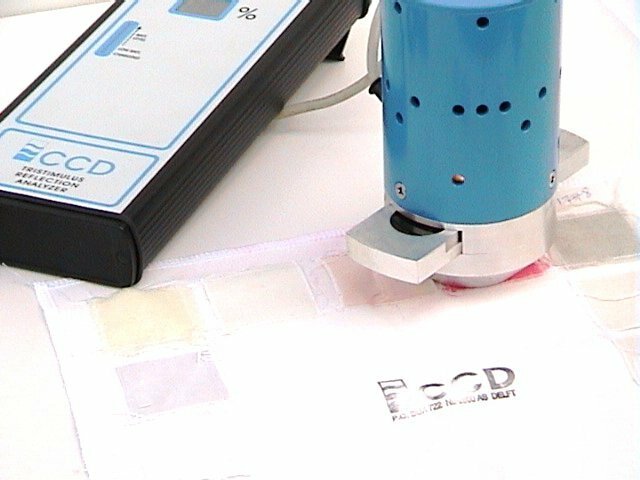 The analyzer is also suitable for measuring the whiteness of textiles. Due to the compact and rigid design, the analyzer is perfect for applications in the field by for instance laundry's, consultants and detergent manufacturers. 12 V DC with adaptor only use the supplied adaptor!